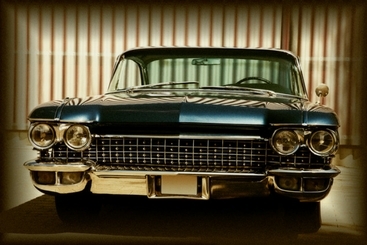 It’s time to put the Cadillac back in the garage! On Monday Congress passed a two-year delay of the Affordable Care Act’s (ACA) tax on high dollar value healthcare coverage, known as the Cadillac tax, pushing the effective date of the tax from 2020 to 2022. This major win for employers and union plan sponsors was included as part of a broader appropriations package to fund the government through Feb. 8, 2018, and end a brief government shutdown. Other pieces of the package include a one-year moratorium on the ACA’s health insurer tax (HIT) for 2019, elimination of the ACA’s medical device tax for 2018 and 2019, and six years of funding for the Children’s Health Insurance Program (CHIP). The Cadillac tax is a 40 percent excise tax on the dollar value of health insurance coverage that exceeds certain thresholds. ACA architects designed the tax to slow the growth in health insurance costs by penalizing sponsors of coverage considered too rich and to generate revenue to offset the cost of the ACA. It quickly became clear after the ACA’s passage that the Cadillac tax would hit plans with even modest benefit designs. Analysts concluded the tax would impact nearly all employer-sponsored plans within five years of implementation. Bipartisan opposition to the tax was evident when the original effective date of 2018 was pushed to 2020, and it is again apparent in the latest delay, which pushed the effective date to 2022. While the goal of the Cadillac tax is laudable, factors other than benefit design have a significant impact on a plan’s dollar value. For instance, analysts found that a modestly designed plan may still be high cost if the employer has a significant number of workers with chronic or serious disease, has employees with larger families, has locations in high-cost areas, or engages in a business that tends to be higher risk. Exacerbating the problem is the fact that, for purposes of the Cadillac tax, the dollar value of an employee’s coverage is broadly defined to include benefits that typically help control costs like on-site medical clinics, certain wellness programs, and both employer and employee contributions to health savings accounts and health flexible spending accounts. Lockton comment: Lockton, along with health policy advocacy partners like the Alliance to Fight the 40, has consistently advocated for repeal of the Cadillac tax. We are certainly pleased with the two-year delay, but we will continue to fight for a total repeal. Delays of the HIT and medical device tax should also benefit employers, although indirectly. The HIT is a tax on insurance carriers, which is then passed along to sponsors of insured plans. The HIT was first assessed beginning in 2014, was suspended for 2017, but went back into effect in 2018 and has accounted for premium increases of around 3 percent. This week’s funding package suspends the HIT for 2019, but leaves it in place for 2018 and allows the HIT to restart in 2020. Lockton comment: Why was the HIT left in place for 2018? Members of Congress and their staffs told us they were skeptical that insurance carriers, which had already calculated 2018 rates to include the HIT, would pass savings along to insureds. Plan sponsors also indirectly feel the effects of the medical device tax. That tax amounts to a 2.3 percent levy on the cost of medical devices like pacemakers and replacement joints. The tax is estimated to generate nearly $3 billion in tax revenue annually from medical device manufacturers, an expense that is passed along to payers like employer-sponsored health plans. The funding bill eliminates the tax for 2018 and 2019, but it returns in 2020. The appropriations package also authorizes six years of funding for CHIP, which sends federal money to states to help provide health coverage to children and to pregnant women and families with incomes too high to qualify for Medicaid, but who can’t otherwise afford health insurance. Lockton comment: Employer plan sponsors are familiar with CHIP for two reasons. First, employers are required to annually inform their employees, regardless of enrollment status, of potential opportunities for group health plan premium assistance under Medicaid and CHIP currently available in the state in which the employee resides. Second, midyear changes to employer-sponsored plan elections, to either reduce or add coverage, are allowed for individuals who gain or lose CHIP eligibility. Federal funding for CHIP ran out in September and state reserves were beginning to run dry. Some states had already issued letters to CHIP participants notifying them of impending coverage terminations. Monday’s appropriation of funds ensures CHIP coverage will continue without interruption. Lockton comment: The funding package does not change the notice or special enrollment rules for employers.